Bigger is better – or at least preferred these days as the hot new design trend in tiling involves large format tiles that are 24×48 inches. For years smaller tiles were all the rage, but over time the size preference has continually increased. According to Knowles, customers once requested 6×6, then it moved to 12×12, and then 18×18. Now, it has jumped yet again to even larger sizes. Daltile, which has more than 200 branches and 11 manufacturing facilities across the U.S., makes these tiles available in both elemental and industrial selections, as well as in a variety of colors and finishes. 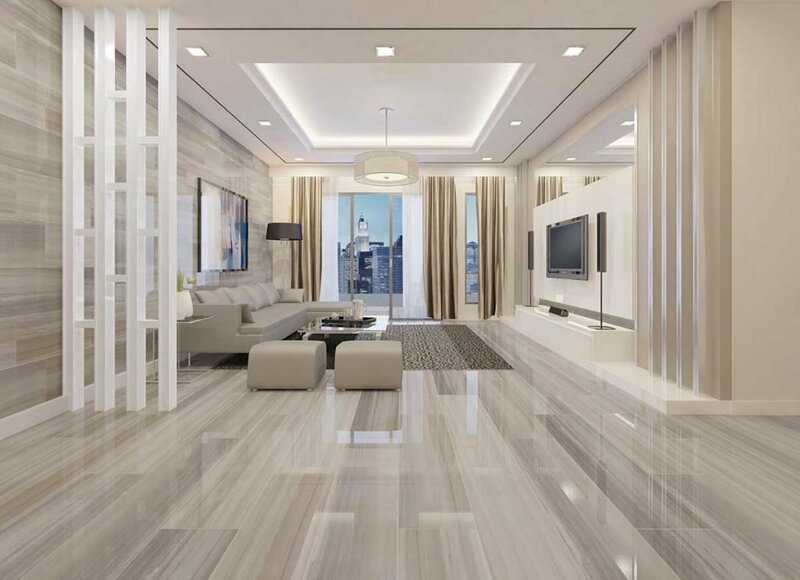 Giant panoramic porcelain surfaces (available in 63×126 inches & 64×127 inches) are also wildly popular in hotels and office buildings on walls, countertops, and interior flooring. Residentially, customers love giant tiles for shower walls, tub surrounds, fireplaces and backsplashes. “People primarily love the look of larger tiles because that means fewer grout lines, which provides a sleeker, more uniform look,” explains Knowles. Other perks: they nicely withstand heat, can be cleaned easily, installed over existing solid surfaces, and are scratch, stain, and chip resistant. Customers who gravitate towards urban chic will appreciate the industrial selection, which blends robust concrete with smooth porcelain. The elemental selection, on the other hand, offers a more classic marble look with vein patterns. Make an appointment to begin your tile selections by calling the showroom at 317-841-0883 or visiting them online at daltile.com.